원격지 현장의 DroneRTS FPV 를 통해 드론이 촬영하고 있는 영상을 원격지 모바일 뷰어 앱인 DroneRTS Viewer에서 실시간으로 확인할 수 있습니다. 사용자는 임무 수행 중인 다수의 드론에서 특정 드론 영상을 선택하여 확인할 수 있으며 동시에 다른 드론 영상으로 전환할 수 있습니다. DroneRTS Trial 웹 사이트에서 회원 가입 후 승인된 관리자가 Viewer 권한을 부여한 사용자에 대해 서비스를 사용할 수 있습니다. 2. DroneRTS Trial 버전을 사용하기 위해서는 회원에 가입하여야 합니다. 4. 임무현장에서 드론 조종자는 DroneRTS FPV앱, 원격지 통합관제센터에서는 DroneRTS 관제 웹 사이트, 원격지 모바일 앱 사용자는 DroneRTS Viewer를 각각 사용합니다. 1. 임무장비에 열화상 카메라가 장착된 경우 열화상 영상 뿐만 아니라 광학 카메라 영상정보도 함께 Display 되며, 영상융합기술이 반영되며 선명하게 피사체를 확인할 수 있습니다. 열화상 데이터 전송 기능은 상대적으로 더 높은 해상도를 갖는 광학영상(RGB) 과 낮은 해상도를 갖지만 온도에 관한 데이터를 갖는 열화상 영상을 영상융합기법을 적용하여 하나의 영상에 많은 정보를 담아 실시간 원격지 관제 센터에 전송할 수 있다. 이렇게 함으로써 현장 및 원격 관제센터에서 바로 데이터 분석과 그를 통한 판단을 가능하게 한다. 열화상 영상은 구조물 화재나 송전선 관리, 실종자 수색, 태양광 판넬 등 시설물 관리 등에 광범위하게 활용되고 있다. 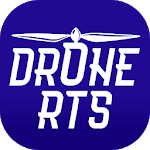 DroneRTS FPV on the remote site allows you to view the images taken by the drone in real time from the remote mobile viewer app, DroneRTS Viewer. You can select and view specific drones from a number of drones that are in charge of the mission, and switch to other drones at the same time. * DroneRTS Viewer: DroneRTS Viewer for remote sites. Mobile-specific application for viewing and real-time monitoring of images taken by drone transmitted via FPV. 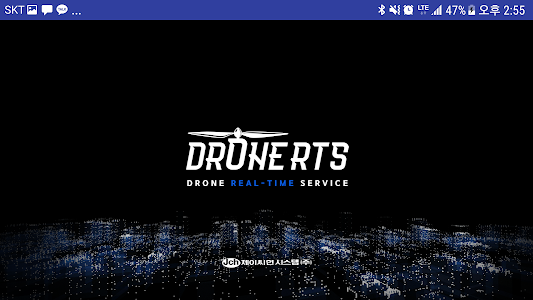 After registering on the DroneRTS Trial website, the service is available to users who have been granted the Viewer permission by an approved administrator. 2. To use DroneRTS Trial version, you need to join the membership. 4. The DroneRTS FPV app for the drones at the mission site, the DroneRTS control website for the remote integration control center, and the DroneRTS viewer for the remote mobile app users, respectively. 1. When the thermal imaging camera is mounted on the mission equipment, not only the thermal image but also the optical camera image information are displayed together, and the image fusion technology is reflected and the subject can be checked clearly. The thermal image data transmission function is a method of transmitting a thermal image having a relatively higher resolution image (RGB) and a lower resolution image but having temperature data by using an image fusion technique, To the center. This makes it possible to analyze data directly from the field and remote control centers and make judgments through it. Thermal imaging is used extensively in the management of structures such as fire and transmission line management, search for missing persons, and solar panels. 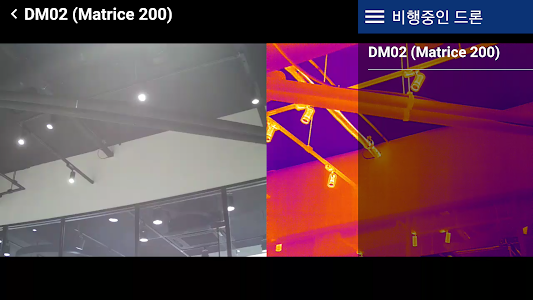 드론 실시간 영상, 관제 기능을 체험할 수 있는 DroneRTS 웹 사이트 및 FPV & Viewer 모바일 앱 출시! Similar to "DroneRTS Viewer - 드론알티에스"